We started working with Stark RFID in 2010, when the company was called HackTrac and sold an RFID inventory management software to brickyards and utilities. The founder and president wanted to take his software’s core capabilities and market them to as a high-event and venue management solution, using RFID to offer more effective access control, patron engagement and data for customer analytics/business intelligence. 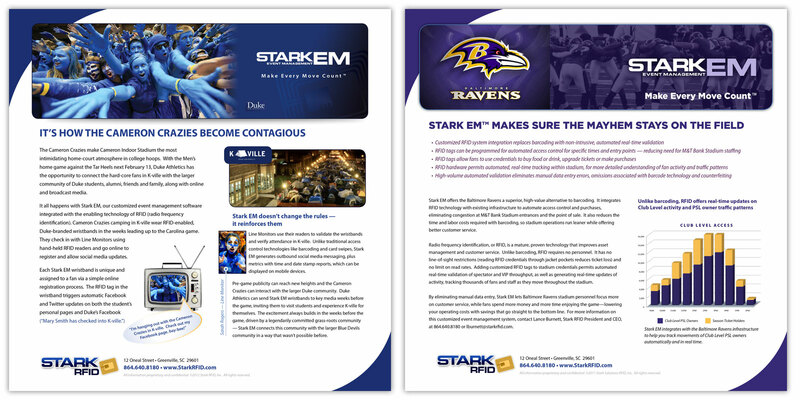 Check the Stark RFID customer list at www.starkrfid.com: it includes the PGA TOUR, the College Football Hall of Fame, the Atlanta Braves, Baltimore Ravens, Miami Dolphins, music festivals and street fairs. 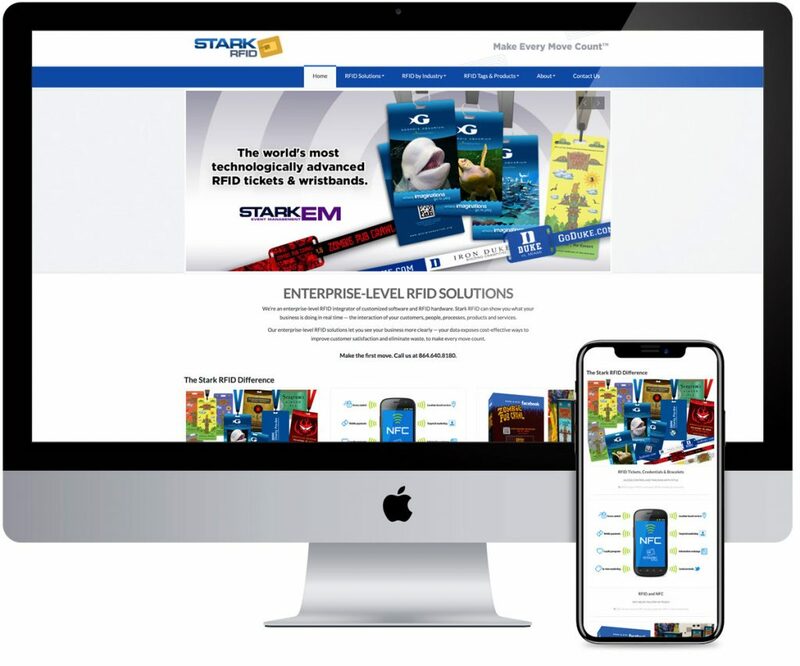 The new logo and tagline emphasize Stark RFID’s key event and venue management benefit — the ability to track and engage every patron with an RFID-powered ticket or credential, generating a rich data set of activity and preferences. We update the Stark RFID website on a regular basis. Over time, Stark EM, the company’s event and venue management solution, has moved into the primary position. 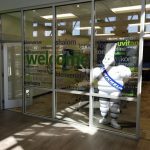 We produce customized presentations, proposals and data sheets, focusing on the compelling advantages of the company’s RFID solutions — a customized patron experience, layered access control, VIP services and patron analytics. 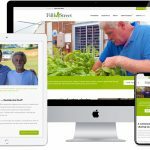 Once the deals close, we also help develop the custom artwork for credentials and kiosks, and advise on any required custom user interface designs.